Beyonce made the Master Cleanse famous when she transformed her body for “Dreamgirls”; Anne Hathaway says she used David Kirsch’s 48-hour detox to get ready for the red carpet; and Gwyneth Paltrow admits to fasting and detoxing a couple times a year. I admit, I haven’t really tried detoxing, but I’ve been curious about it. I have friends who swear by it and fellow competitors who tell me they start their training season by going through a major detox session. But is detoxing really necessary? Stacy Whittingham, a Yoga Alliance Certified Bhakti Yoga Instructor at Sacramento’s Padme Yoga Center, says detoxing is necessary, but she doesn’t agree with the celebrity hype around the practice. I never thought about that. I had assumed the detoxing was supposed to “help” your liver by getting rid of the bad stuff so you can start fresh. So how do you go about doing a safe detox? It all begins with research or if you’re a little time constrained like me — a workshop. 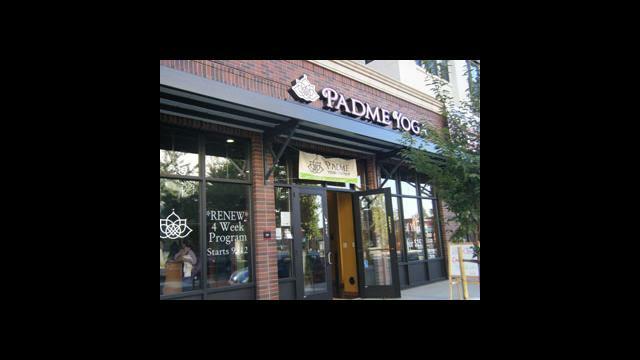 Whittingham conducts detoxing workshops at the Padme Yoga Center in Sacramento. If you haven’t gone there, you need to. The yoga classes are incredible (I was so sore after, it was like I run a marathon) and it’s got this peaceful, serene atmosphere that makes you forget the rest of the world exists. Then there’s these workshops that they hold every once and a while. Whittingham’s workshops combine natural healing foods, healing recipes and Ayurvedic strategies to help the body remove toxins. She says the best way to detox your body is not go on a drastic diet, but to make it a part of your daily routine. According to Whittingham, toxins come from everywhere and we are exposed to more of them in 2010 than people living in the 1950s or 60s. Toxins can be found in our drinking water, our food in the form of preservatives and our environment. Even the air we breathe is also full of toxins as it contains carbon monoxide, lead, ash, hydrocarbons, nitrogen dioxide, sulfur, insecticides, herbicides and chemical fertilizers and much more. But while we can’t get away from them, there are small choices we can make to help detox our bodies every day and reduce some of the toxins from getting in. Really? I didn’t tell her how much bottled water I drink. After contracting a parasite from water (it was in the lemonade) at a hotel in Minnisota years ago, I’m afraid of tap water. Puking your guts out for 6 months can do that to a person. Anyway, once toxins get in the body, they can show up as anything from skin problems, fatigue, joint swelling, depression, poor digestion, insomnia and a multitude of other health problems. It seems getting toxins into the body is easy, but getting them out takes patience and time. Whittingham says once your start incorporating detox changes into your diet and life, it could be a couple of weeks before you start feeling a difference in your energy levels. “No magic bullet is going to make feel great overnight. I want to really communicate that detox is a lifestyle and not a quick fix,” Whittingham said. She also stresses that detox is not about giving up stuff you love. It’s not a diet, but about making choices. It’s about incorporating the detox strategies into your daily routine so you can constantly remove the toxins you put in your body.